So… who’s actually behind Spotify’s fake artists? Not going to lie – we didn’t expect quite this level of reaction. MBW’s story from yesterday revealing 50 names of fake artists on Spotify has gone a bit crazy. We’ve had emails through all day from people uncovering yet more suspicious acts on the platform – performers who have a very impressive playlist presence on Spotify, but barely any other online credentials. At this stage, from what we’ve seen, we estimate the number of fictional artists on the service will easily run over a hundred. A quick recap: MBW has been told that these artists are, in fact, producers who are covertly recording and releasing material commissioned – possibly via a third party – by Spotify. That’s something the green machine has outright denied. “We do not and have never created ‘fake’ artists and put them on Spotify playlists. Categorically untrue, full stop,” said a spokesperson. Except, it’s not. Not really. Because we already know – at least, we do now – that JK Rowling wrote those books. It raises an interesting point: would the industry perhaps feel differently about music by Spotify’s fake artists if we could discover the secret producers behind them? Before the science, an interesting bit of background: while MBW was researching our list of 50 fake artists last night – foraging for signs of online life outside the Spotify platform – we came across a few user reviews. These ranged from people enjoying Spotify audio rips which had been placed on YouTube to those desperately seeking the sheet music of these songs. It was positive. Like, ‘This is a lot better than your typical production music / amateur music’ positive. There was also a lot of ‘this is fantastic, where can I buy it on iTunes?’-type response. It’s just worth bearing that in mind. Earlier today, MBW readers started searching the web for ISRC codes related to tracks by our named ‘fake artists’, as well as rifling through ASCAP and BMI’s databases. Not a lot was discovered, until… a mini-breakthrough. Tracks by two of the acts in our list of 50 – Deep Watch and Piotr Miteska – showed up in the searchable online database of US licensing organization BMI. ‘Endless Fragments Of Time’ (Deep Watch) is credited as having been written by Andreas Romdhane and Josef Svedlund. ‘Squares Of Life’ (Piotr Miteska) is also credited as Romdhane/Svedlund, in addition to Robin Bennich. Another fake artist, not originally listed in our 50 names, is Evolution Of Stars. They boast 17m streams across two tracks on Spotify – ‘Pretending’ and ‘Waiting For Nothing’. 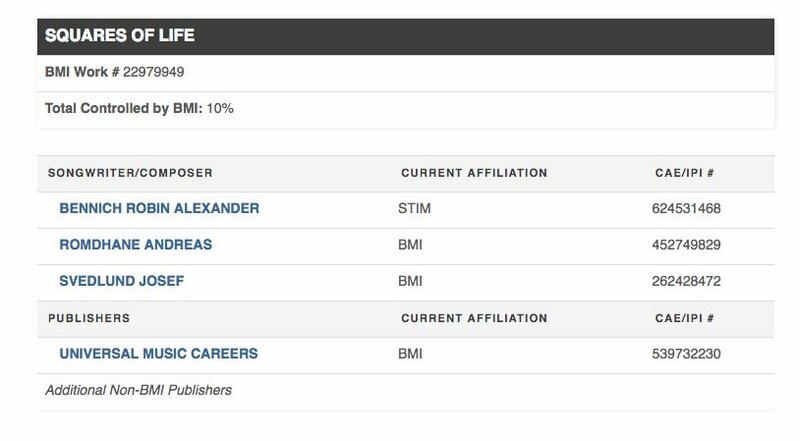 Like the other two tracks mentioned above, there is a ‘Waiting For Nothing’ on BMI’s site, credited as being written by – you’ve guessed it – Romdhane/Svedlund. We discovered that another track in our list of 50, ‘Norrsken’ by Karin Borg (who has over 24m streams on Spotify) is also credited by BMI as Romdhane/Svedlund. And another: ‘From Night To Morning’ by Antologie. And another: ‘Broken Promises’ by Bon Vie. And another: ‘Sankrit Touch’ by Benny Bernstein. 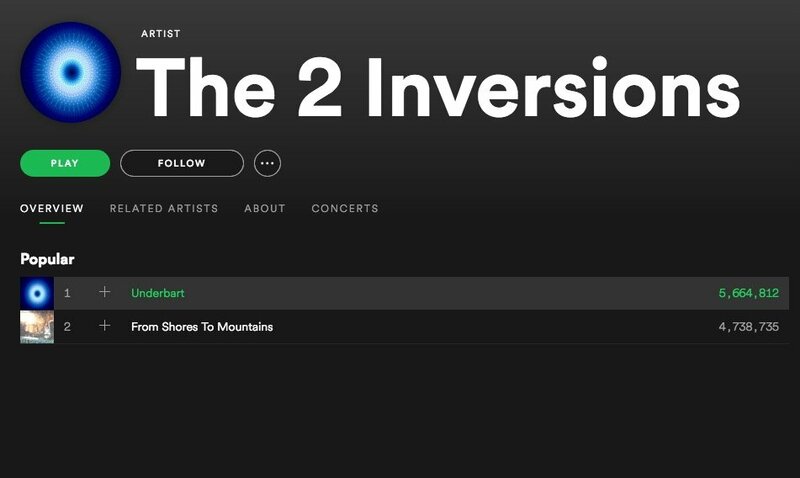 And another: ‘From Shores To Mountains’ by The 2 Inversions. Across just the names mentioned here, this music has racked up more than 75m Spotify streams to date – being selected for playlists including Peaceful Piano, Yoga Music, Sleep and Yoga & Meditation. 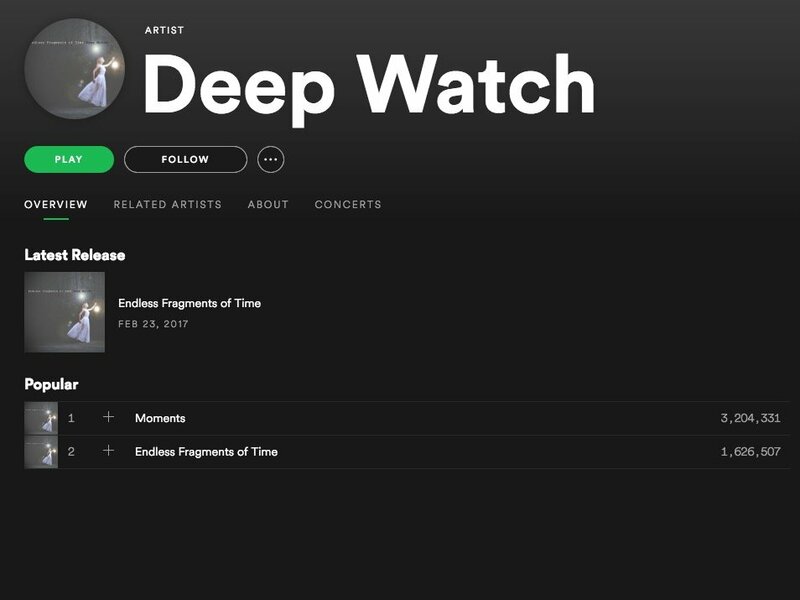 Deep Watch’s rights are credited as ‘DW Prod’. Piotr Miteska’s are credited as ‘PTRMTSK’. Karin Borg’s master rights are credited as ‘KB Inspelningar’ while her publishing (‘her’ publishing) interestingly enough, is credited as ‘Q&L Publishing/Universal Music Publishing’. So we did the do, and we Googled. 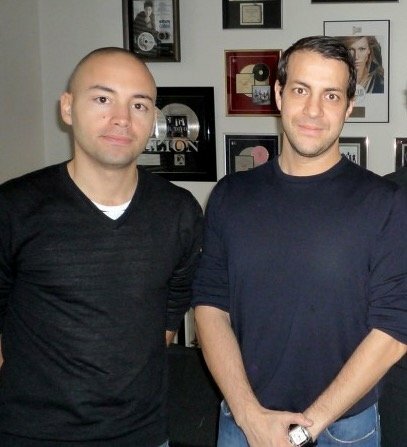 If you didn’t know, Andreas Romdhane and Josef Svedlund (pictured) are better known as Quiz & Larossi (thus ‘Q&L Publishing’, which appears to be administered by UMPG). They are talented types: a production duo who have worked together since 1999, when they collaborated on songs with Lutricia McNeal. Since then, they’ve been credited on tracks for everyone from Kelly Clarkson to Atomic Kitten, Il Divo, Westlife, Geri Halliwell, Diana Ross, The Pussycat Dolls and JLS. They have often worked with Syco artists. They are based at their studio in… wait for it… Stockholm, Sweden. Gentlemen, congratulations on your success. We would like to interview you!